A goofy southern girl, simply loving life out loud! I know, I know I am behind on my post. An emotional traumatic afternoon will do that to you. Monkey Two decide that the best way to end his school day would be to try and play tag with my van, as I was pulling out of my dad’s drive way. He caused everyone’s adrenaline to shoot through the roof and heart attacks to commence. Can I just state for the record NOT TICKLED, at all. Poor little monkey thought that I had forgotten him. Once I stopped seeing horrific visions flashing before my eyes I had a heart to heart with my should have known better 8 yr old. Poor monkey, he’s wishing right about now that I had lost my temper, yelled at him or punished him in some way. I spent the entire evening giving him squeeze hugs, kisses and petting him in general every five minutes all night long. I almost slept on the floor by his bed. It’s pure torture for my lil’ guy who like his personal space. He’s fine not a scratch and I was good to go after a bottle of wine to ease the adrenaline crash to my system JK. Anyhoo I digress…back to gardening. Can I tell you all how much I love gardening…I do. I caught myself humming nearly all afternoon. It’s funny because I was humming P.O.D’s- Alive, specifically the lyric, ” I feel so alive… for the very first time”. It just occurred to me, those words could apply to the plants as well as myself, nifty thought. When I think of gardening I think of my Granny who lived in the Appalachian Mtns. She looked just like Granny Clampett from the Beverly Hillbillies, I swear. Only she was a sweetheart and didn’t wear combat boots. I can’t be sure about the gun, however she did dip snuff. The gardening tips that I have listed below come from her, through my parents and down to me. Now to my monkeys and you all. Some of you may already know these tips, if you do sit back and relax while I pass on the knowledge to some other deserving folks. I know a couple in particular who could use some help with their green thumbs. I have your back Jess @Sublime Design or your plants back so to speak. Also you never know, you might discover something new along the way. 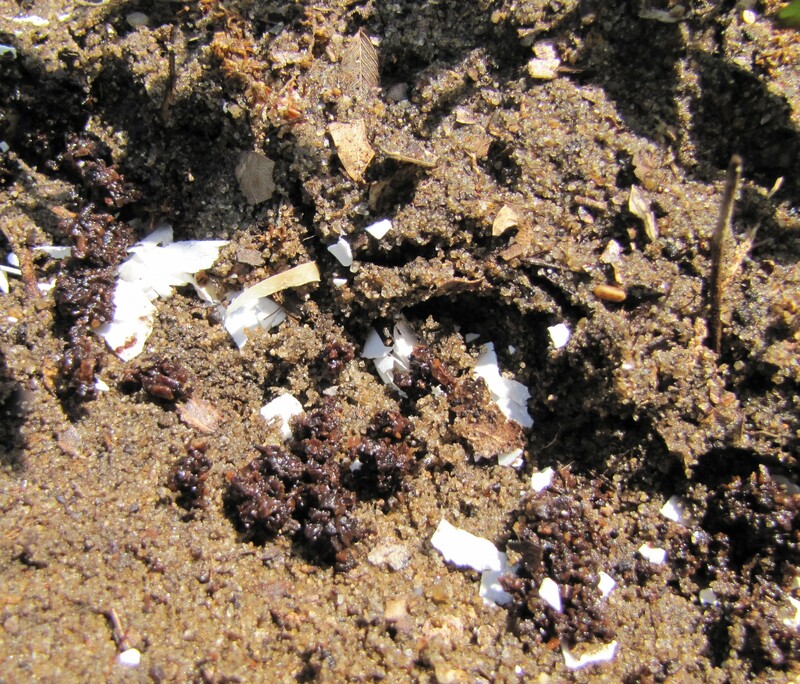 Eggshells and coffee grounds go hand in hand. They are gardening’s BFF’s. 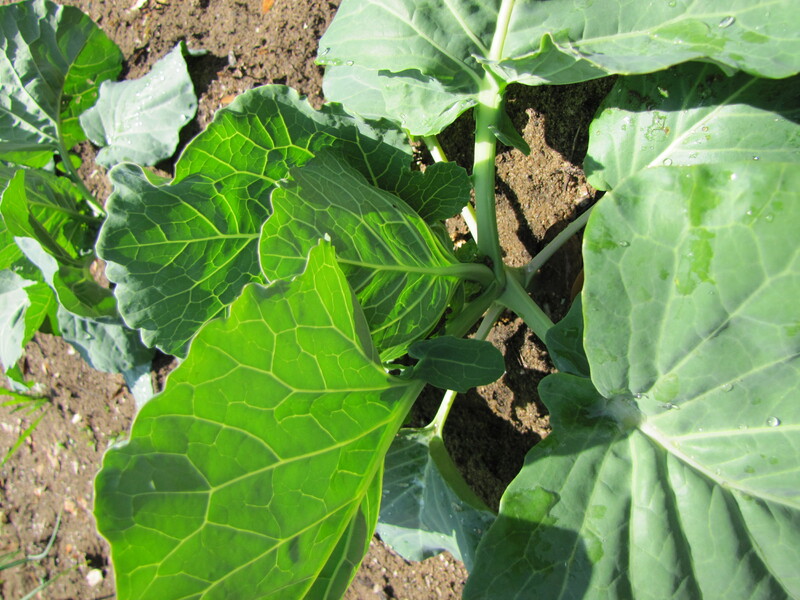 They are a natural fertilizer and a One-Two Punch pick me up for your veggie garden or your houseplants. 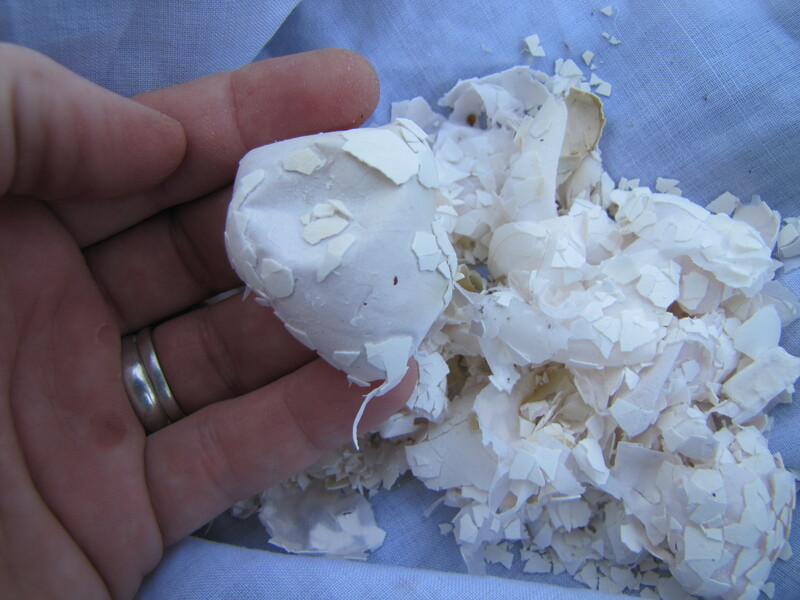 Eggshells provide calcium and coffee grounds provide nitrogen. Usually what you find in the fertilizer that you buy minus of course the extra added goodies that you don’t want in your garden. 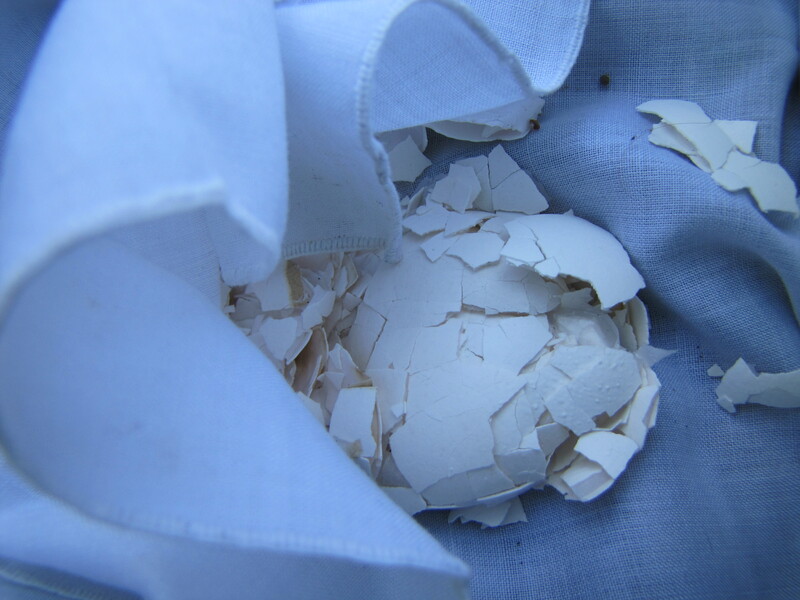 All you have to do is save the eggshells from when you are creating all of those wonderful masterpieces in the kitchen, I drool over them daily so don’t tell me otherwise. Wash them, dry them and crush them. The easiest way I find to crush them is in a towel. 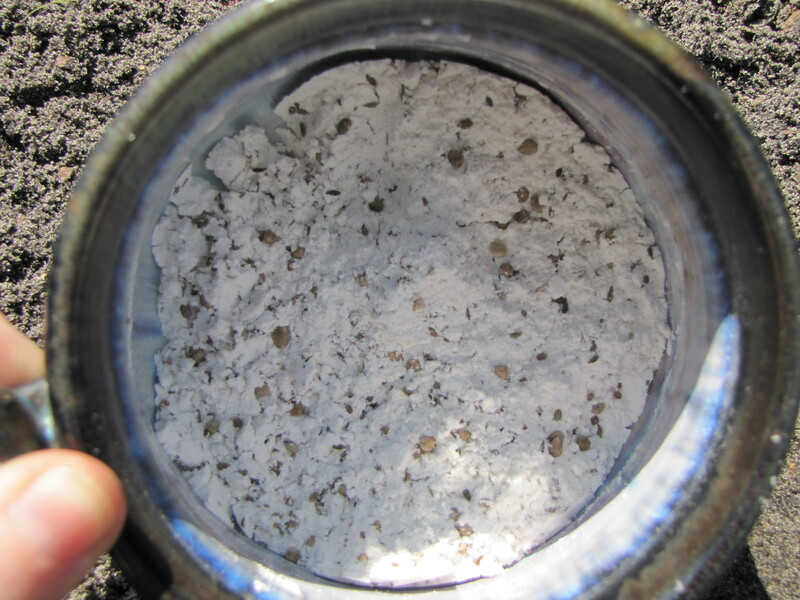 Sometimes you will have a membrane that didn’t wash out completely. That’s okay just scrape off the shell and toss away the membrane. 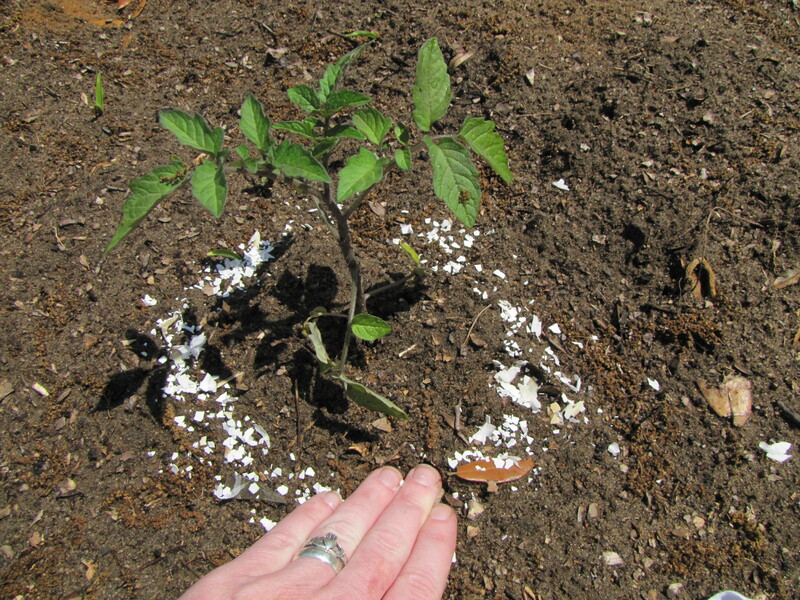 Then all you have to do is sprinkle them around your veggie plants especially your tomatoes or in your house plants. If you happen to be just planting put the shells in first. Another tip, when you hard boil eggs do not toss out the water. The water has calcium from the eggs so let it cool and use it to water your house plants. The coffee grounds are even easier. All you have to do is set them aside and let them dry out. Gee that was strenuous…whew! 🙂 Sprinkle the grounds along with the shells for nitrogen. 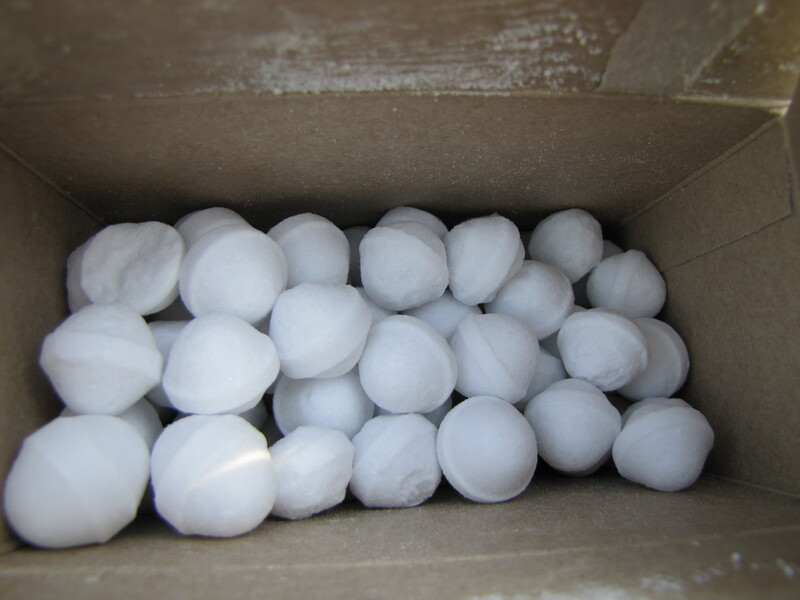 They are also good for deterring bugs. Doubly Nice! 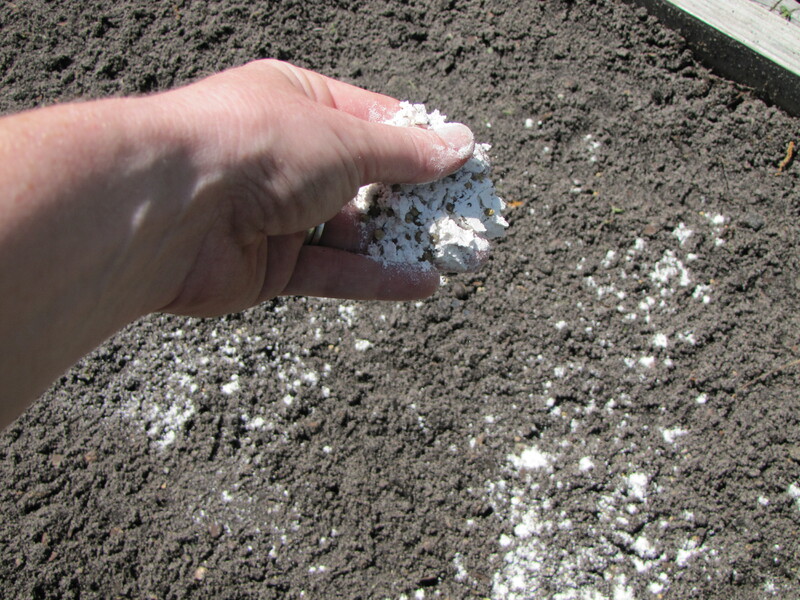 Granny used flour in the garden strictly as a marker for those teeny tiny seeds like carrots or lettuce. This way you know exactly where you placed that little bugger down on the ground and don’t loose it. Please forgive my abused hands in all of the photos. I haven’t been wearing my gloves like I should. 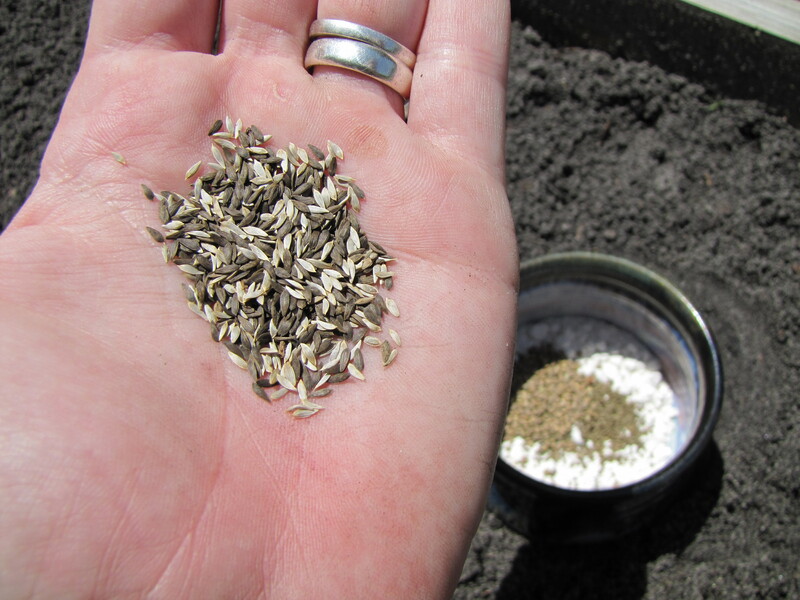 Mix the seeds with the flour in a bowl. Sprinkle them in a raised bed. 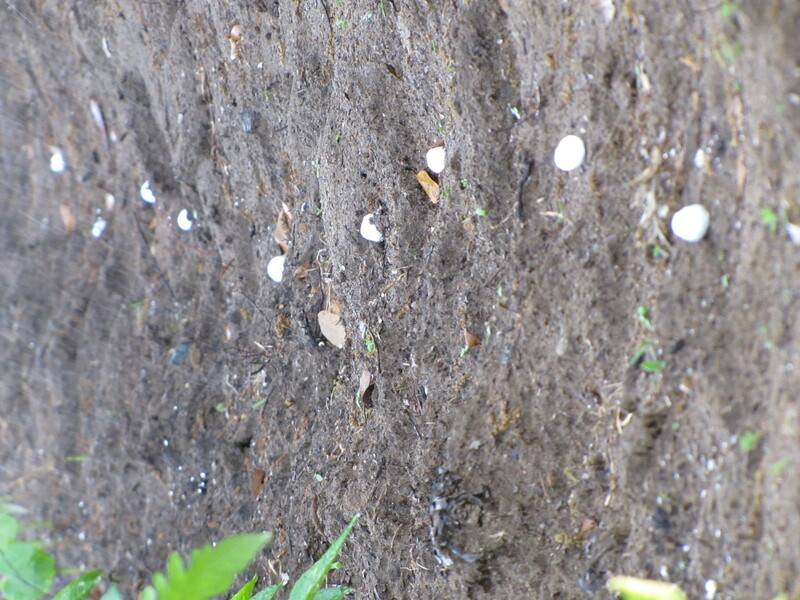 Or with carrots make a mounded row, sprinkle on top of the mound and just cover with dirt, not to deep. 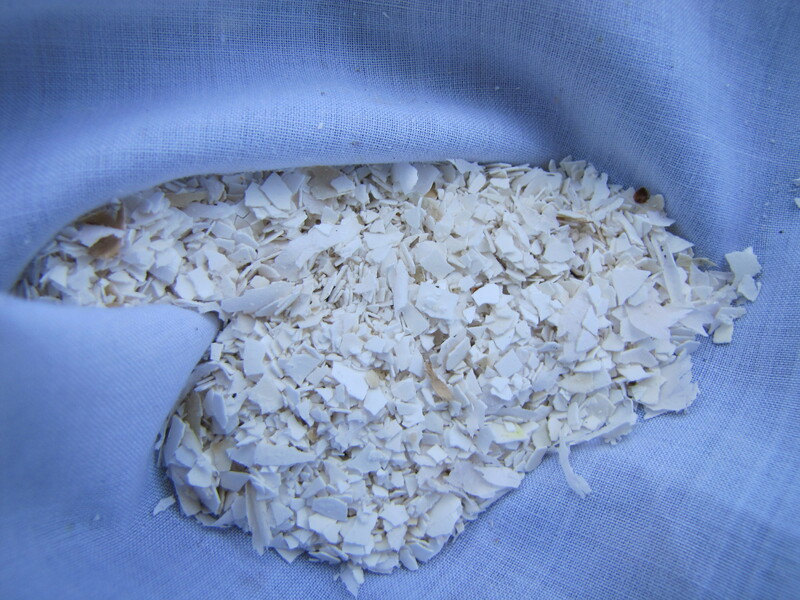 The flour ensures that you don’t miss a single seed. 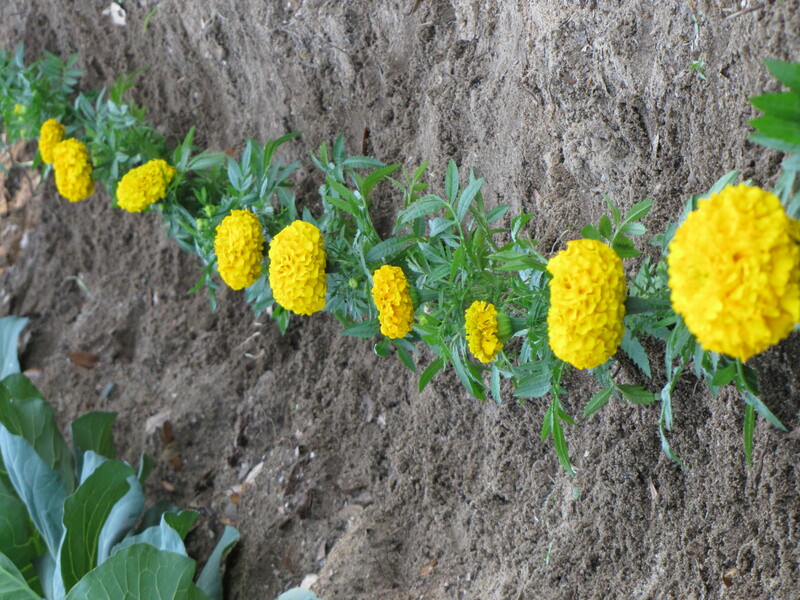 Granny always had rows of marigolds in between her vegetable rows. They are a wonderful natural pest repellent. They also make your garden colorful, bright and beautiful. Does anyone out there know this one? Was it passed down to you as well? How about cats? 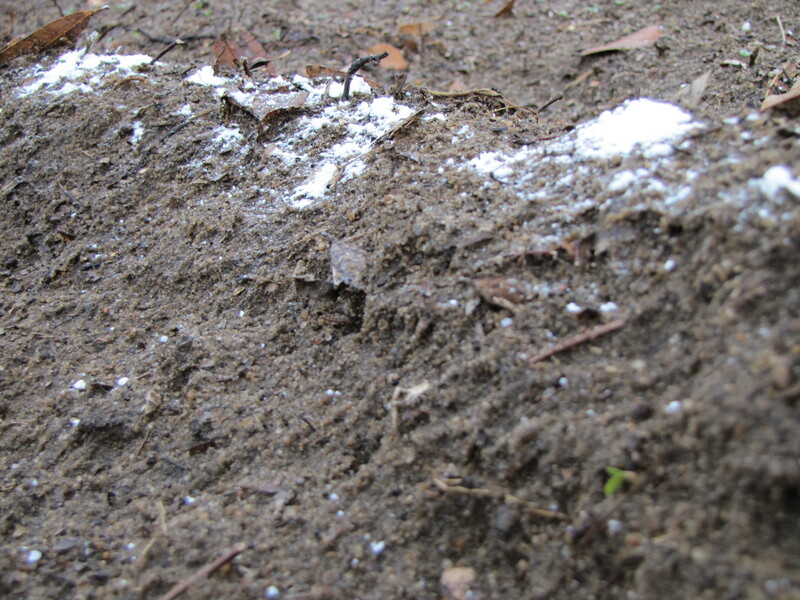 Are cats turning your beautiful labor intensive garden into their personal litter box? 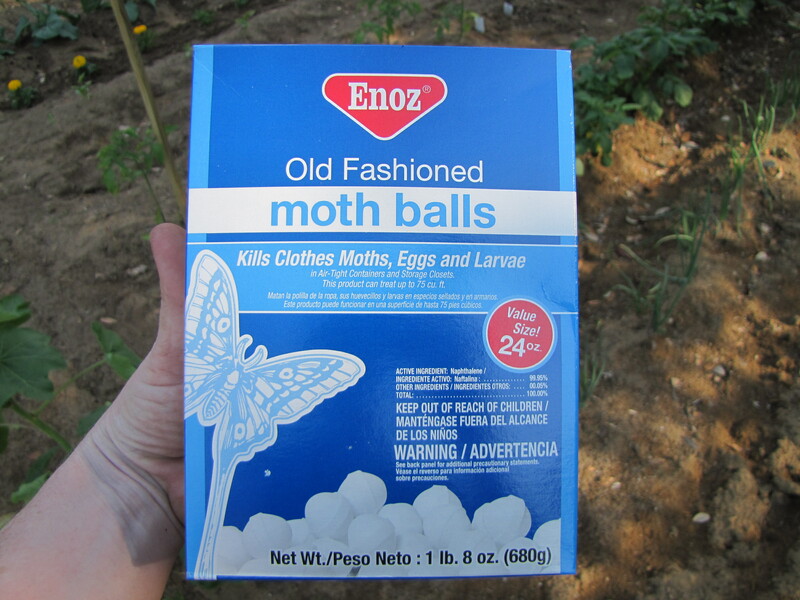 Moth balls baby! Keeps those cats right out of any flower bed or garden. Don’t get me wrong I adore cats but if the moth balls don’t work I will let the monkeys use their paintball guns on them. Digging around in a litter box is just bloody gross. 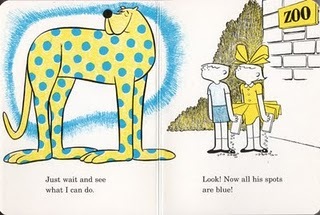 They will just look like the cat who wanted to live in the zoo… all spotted and colorful. Just kidding folks I wouldn’t harm a hair on their heads, I promise. Look…I think Hansel and Gretel came this way, don’t you? See they left a trail of white stones to find their way back home. Share your passed down or just learned gardening tips. I truly am interested. 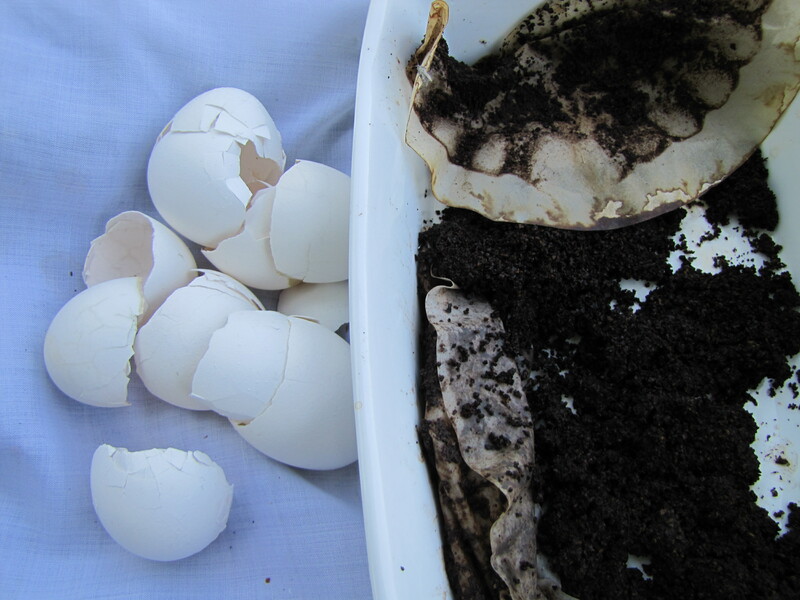 Glad to see others use egg shells and coffee grounds out in their garden! I don’t think the moth balls work very well with kitties…at least I haven’t been able to make it work. Really ? Darn…I guess the neighbors cats will be colorful then 🙂 JK, I swear! What suggestions do you have to repel SQUIRRELLS! Minions of the devil they are, destroying any freshly-turned earth as well as all my flowerpots. They make me want to cuss. I didn’t know any of these tricks, thanks for sharing. We never had cats growing up, and my granny went crazy with the 7 dust. Chicken, horse or cow manure was fertilizer and the compost went to the worm bed so we’d have plenty of worms for fishing. GI am glad that I could share them with you. I remember the 7 Dust days 🙂 WOW worm garden! That’s my project for next year. Wow! This is very useful and informational stuff!! Thank you so much for taking the time to post this. I can’t wait to get outside and get my plants started for the spring!! Have fun playing in the dirt 🙂 Tell me what you plant. Well, this condo-living city gal doesn’t have a garden – yet. (And I do mean yet. I intend to someday.) Those tips are great! I plan to hang onto them for the future. 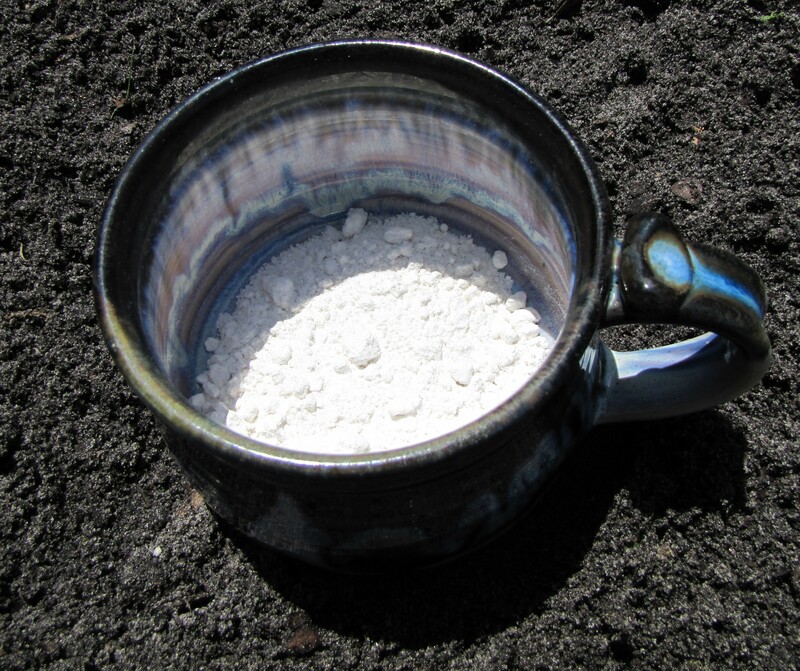 The eggshells and coffee grounds are great for your house plants. Guess what? I live in the suburbs 🙂 the neighbors are stupefied. I knew about the coffee grounds and marigolds but the egg water? That’s cool. Gotta remember that, especially for the house plants. 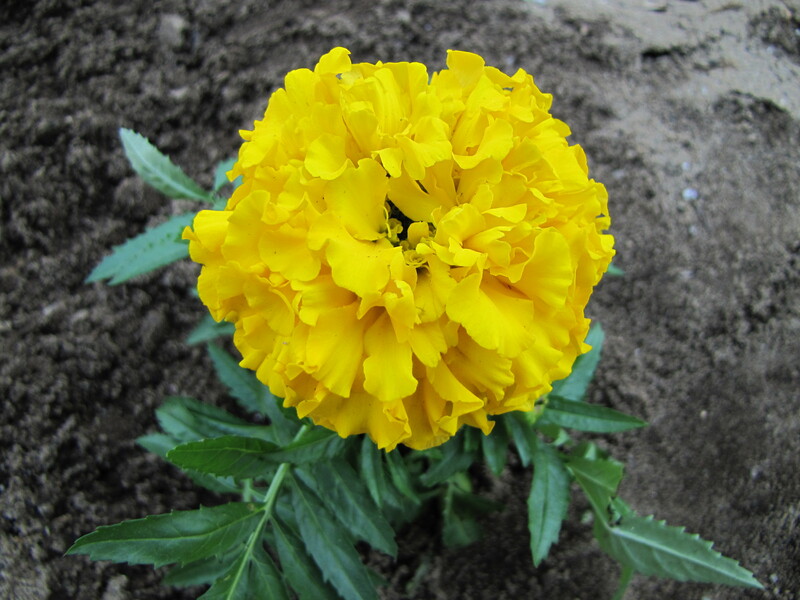 I’m hoping some of the marigold will volunteer from the ones I planted in the garden last year. 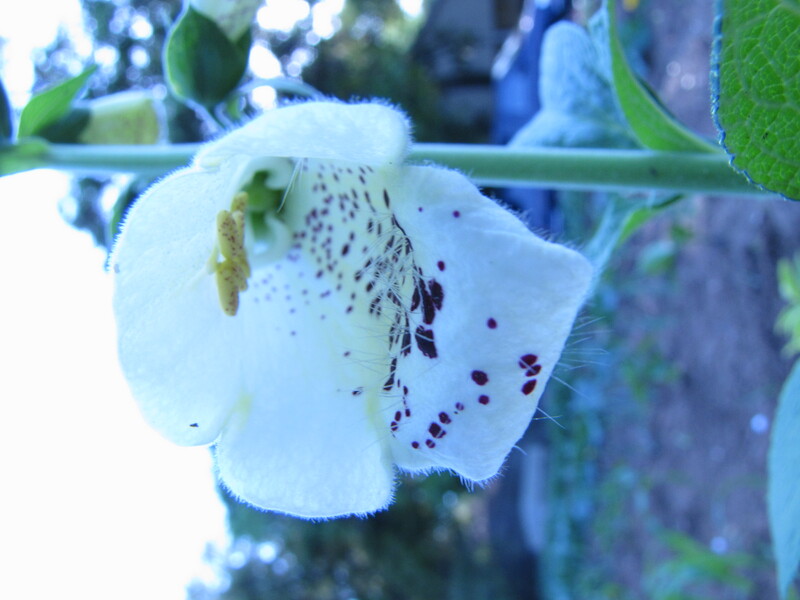 They were a small variety that went crazy – can’t remember the name, but if I do, I’ll let you know. Guess who came to visit YOU this time? I love your site. And this post in particular! I knew the tips but was TOTALLY in need of a reminder. It’s just beginning to be gardening season here in Southern Ontario and I need to start saving the coffee grounds again! ThanksTR! Very handsome family by the way. Oh … to be in California. I bet YOU don’t have to tune up and store your snowblower for the summer. I’m so envious of your garden. When I lived in UK I ‘borrowed’ my in-laws, and really got into it. For about a minute. Whenever it wasn’t cold or raining (which wasn’t much). But your pictures make it look so appealing… hmmm …maybe I should badger my dad to let me use his… ! Thanks Shal 🙂 Go badger your dad…every little boy needs to play in the dirt with his mum.